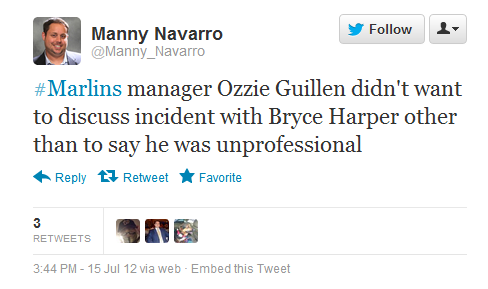 Woeful Nats: Ozzie Guillen Calls Bryce Harper "Unprofessional"
Ozzie Guillen Calls Bryce Harper "Unprofessional"
Ozzie Guillen, the manager who was suspended earlier this year for saying "I love Fidel Castro", has declared that a 19-year old rookie is the "unprofessional" one. Ozzie Quote via Mark Zuckerman: "What he did [today] was unprofessional." Guillen was distraught over the location of pine-tar on Bryce Harper's bat and some bat pointing in the Nationals vs Marlins game on Sunday afternoon. 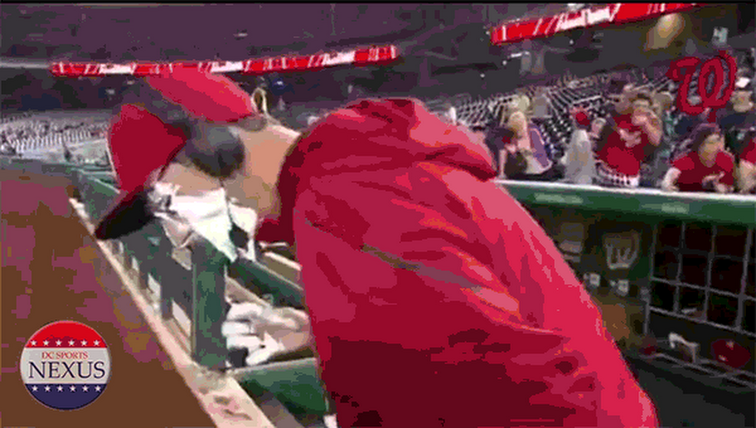 The fiery manager complained to the umpire on multiple occasions, hollered at Bryce and Davey from the dugout, and possibly even screamed "F**k you kid" to the young man who is 29 years younger than him. Reporters talked with him after the game but the only thing he would say about the incident is that Harper is "unprofessional". Bryce's response? 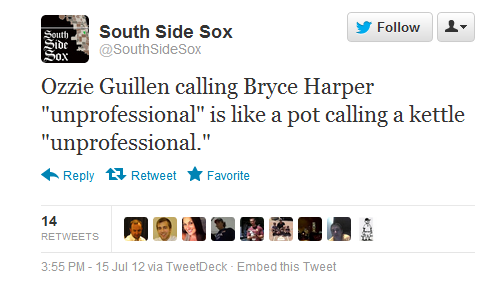 Talking about what a great manager Guillen is. Very Unprofessional. "He was still chirpin' about it"
"It got on the umpire's nerves"
"It got on my nerves"
"He was trying to intimidate our player"